The Pocket and the Pendant by Mark Jeffery. 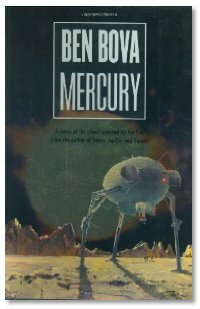 This week we talk with Sci-fi legend Ben Bova about his books Powersat and Mercury. A great conversation with a man that has been writing great sci-fi for a long time. We then talk with Mark Jeffery about his book The Pocket and the Pendant. Mark has been turning his work into a Podiobook and we get some insight on what it takes. You'll get your first taste of a new feature replacing the news. Our library is full of books, and we have decided to start telling you about some of them. We'll pick some of the more interesting ones that come in each week.